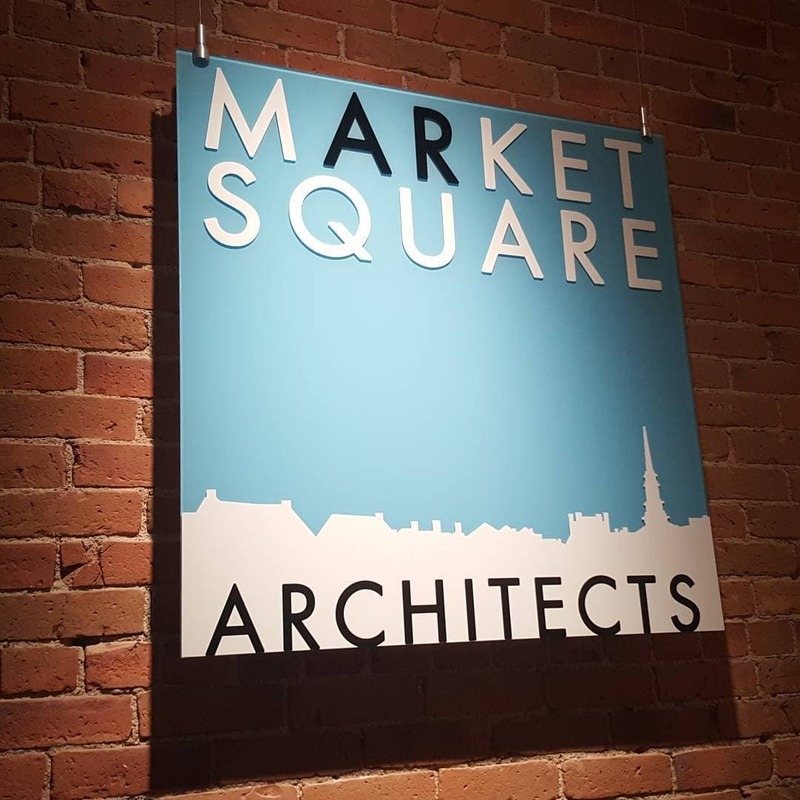 A redesigned office space blending old and new. 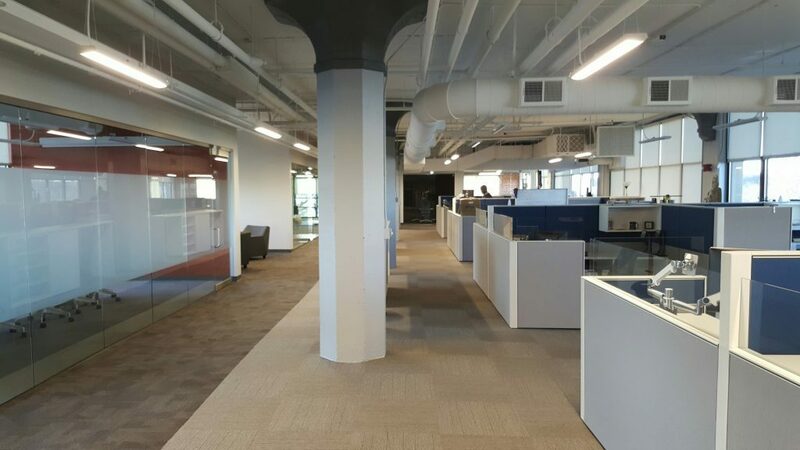 MANCHESTER, NEW HAMPSHIRE – This 6,200 sf corporate fit-up sought to blend the modern style of Acuant’s Los Angeles office with the characteristics of a century-old mill building in Manchester, NH. The result is an open concept work environment with a refined flair that fits this young tech company’s culture. 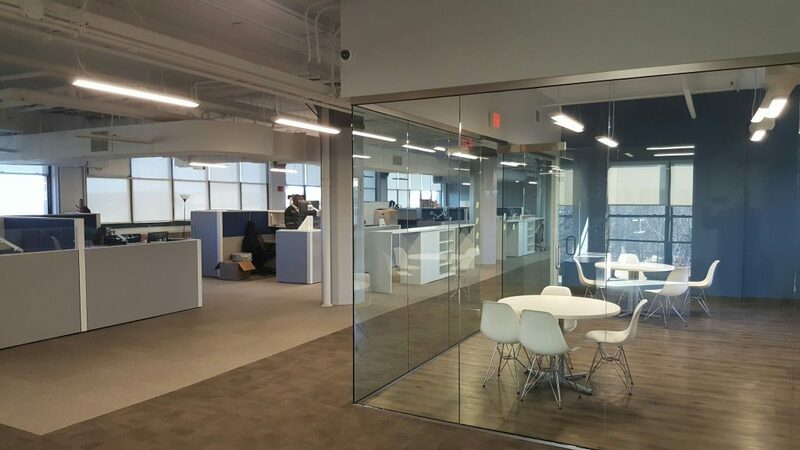 Glass partitions in offices and conference spaces allow for natural light to flow throughout the space. 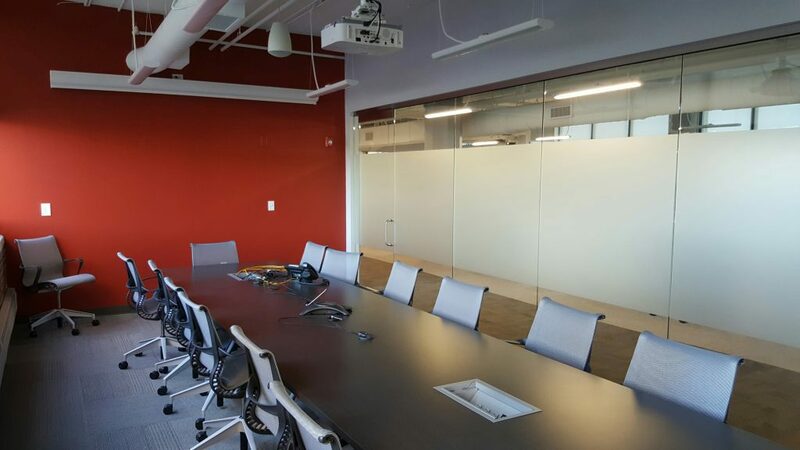 Traditional conference rooms and casual touch-down spaces provide diverse work environments. 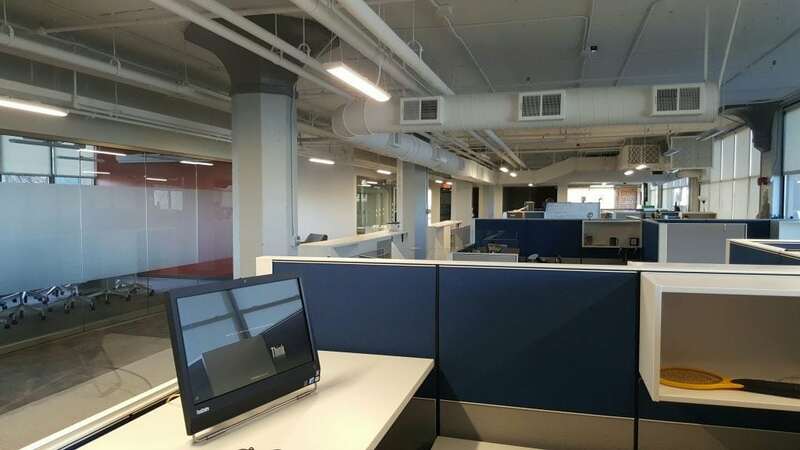 The design concept is carried through the furniture selection which includes motorized high-low workstations that can be adjusted for user preference. The space was occupied in the fall of 2016.